Located in the south of Sri Lanka, Mirissa offers a world of attractions. Whether you choose to sail, dive, surf, cycle through town or embark on a whale watching tour in Mirissa, things to do here are abundant. A sight you won’t soon forget; witnessing majestic whales off the south coast! Mirissa has the longest whale watching season in Sri Lanka and whales are found just 40 km from the shore. The waters of Mirissa are inhabited by schools of whales and pods of dolphins. Thus, the town has become one of Asia’s most popular whale and dolphin watching sights. During the months of November through April, these creatures make their way to the waters of Sri Lanka due to its warm waters. Mirissa is home to a large stretch of pristine golden sandy beach. Any beach lover is sure to be mesmerized by the beauty of Mirissa, as this untarnished beach is nothing but golden sand, swaying palms, clear warm waters and an ambience of tranquillity. Only two hours from the commercial capital Colombo, Mirissa is a popular destination for a world of beach based activities. Relatively calm, the beach is ideal for a soothing sleep in a hammock as the world passes slowly by. Mirissa is dotted with a plethora of pubs and restaurants, which are great for kicking back and enjoying island vibes. At sunset you find many people on the beach, enjoying a cool drink while they watch the sun sink into the sea. The array of colours in the sky at sunset is quite a spectacle and something you must experience. There will be plenty of rave parties to check out too! Wake up to sights of a gorgeous sunset and take to the invigoratingly warm waters of the Indian Ocean. Swim, sunbathe and enjoy the sunny weather. The beautiful climate of Mirissa, its stunning beach, and waters with gentle currents make Mirissa a great place to engage in water sports. A water sport which is quite popular in Mirissa is surfing. There are several PADI certified diving centres which will guide you to some of the best diving sites in Mirissa. 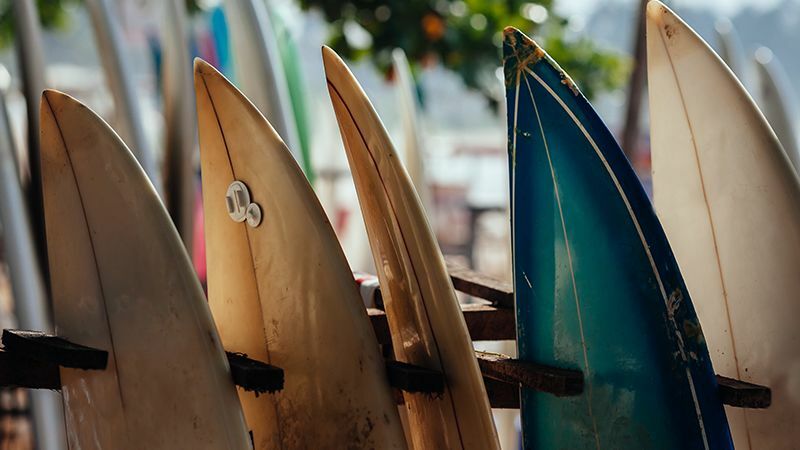 The reef protected Mirissa Bay, is an increasingly busy surfing destination. The eastern end of the bay is supposedly better for snorkelling while the western end is better for surfing. The three to five-foothigh waves generated here during the south-west monsoon are suitable for surfers of all experience levels. The best waves can be experienced in the mornings. The waves here are described as ‘right-hander over areef that can get shallow and hollow. You can easily explore Mirissa by foot. You could also opt for acycle or hire the local three-wheeled vehicles known as ‘tuk-tuks’. Head over to the Buddhist temple for a dose of culture. Watch the devotees deep in prayer and join in and pay homage to the Lord Buddha. The serene ambience surrounding the temple is heightened by the lull of the waves crashing against the shore. Early morning visits to Mirissa’s fishery harbour to see the catch being brought in can also be an interesting experience. There is a plethora of things one can do in Mirissa. Some of the best activities are bird watching, nature trail & country walk, rain forest exploration, fauna & flora study, yoga & wellness activities.